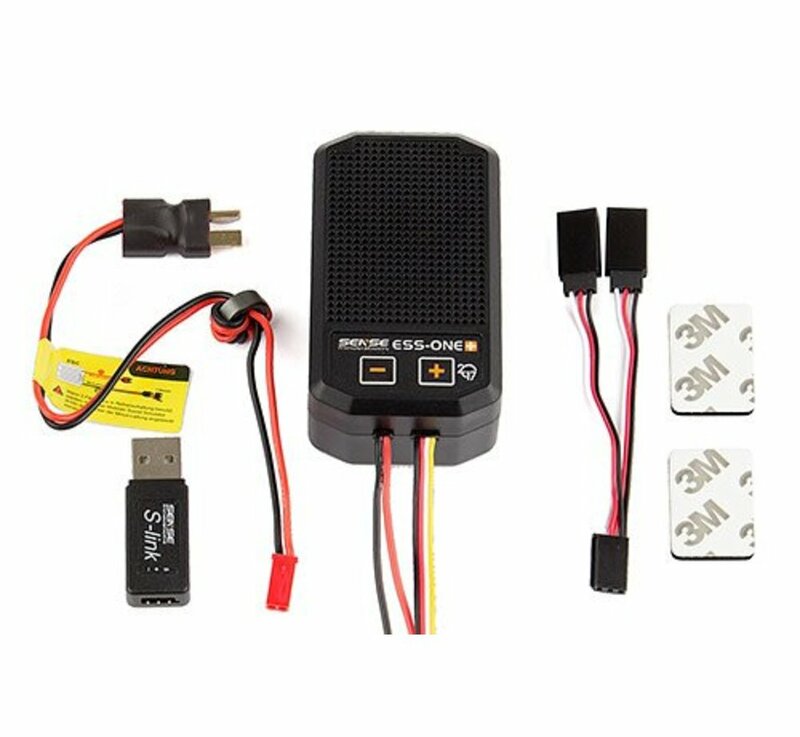 ESS-One+ 2017 Engine Sound System Along with all the features of the earlier model, the ESS-One+ is lighter and more compact in size, making it easier to install. Redesigned speakers have more power and longer life. 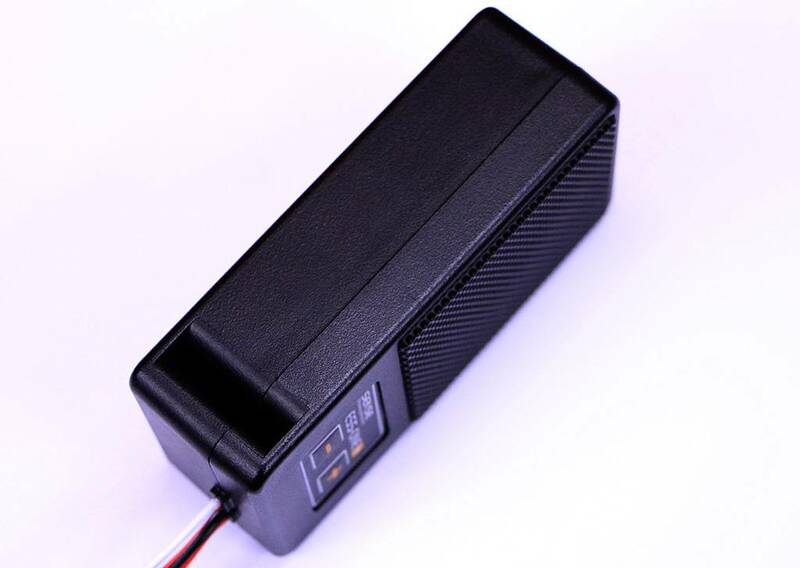 The D-Class amplifier chip ensures efficient performance and high-quality sound output. 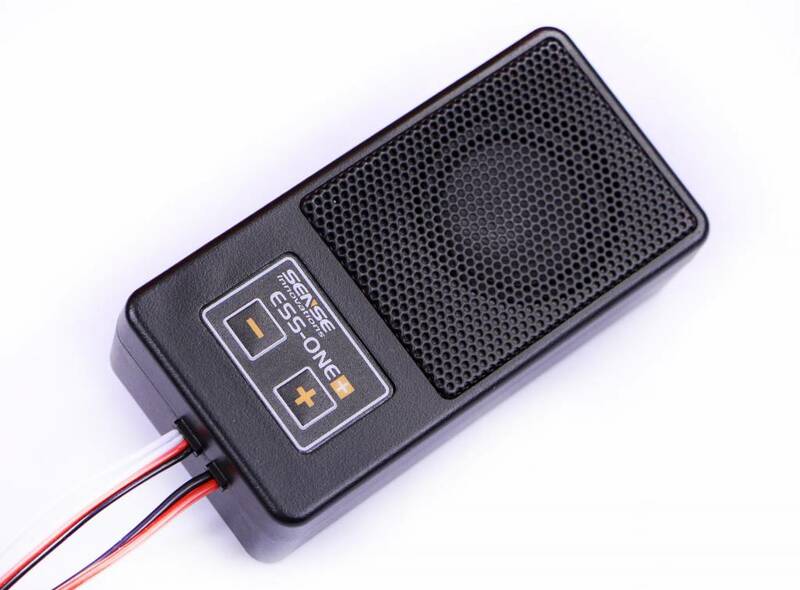 ESS-ONE+ uses an advanced DNS/DCR algorithm to reproduce the sound of real engines. The sound is real-time calculated based on the throttle input + throttle movement speed + engine speed to closely simulate real engine sounds. 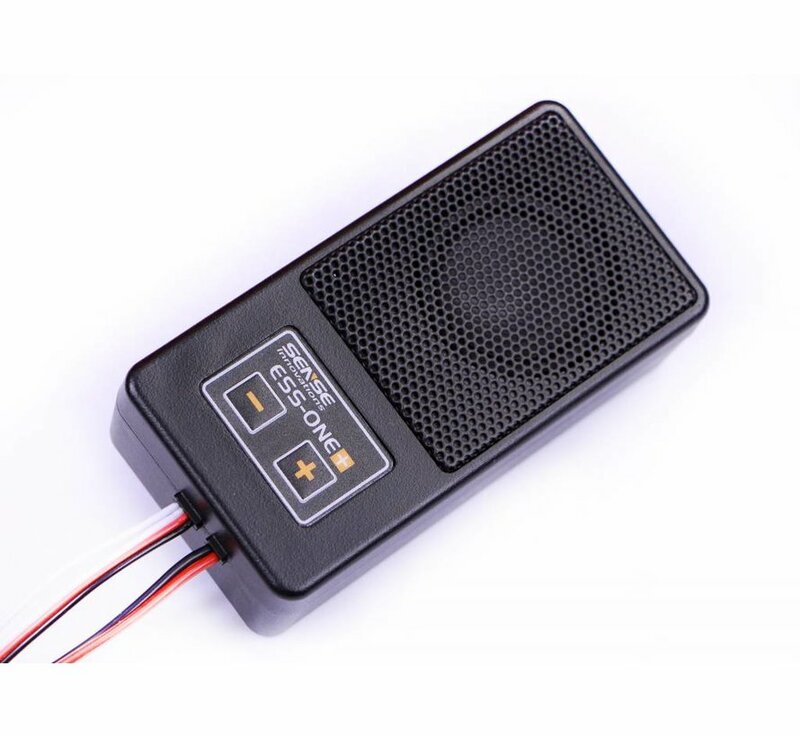 This creates a richer sound than could be had through the throttle alone. ESS-ONE+ supports the AUX channel which can simulate a variety of sounds. 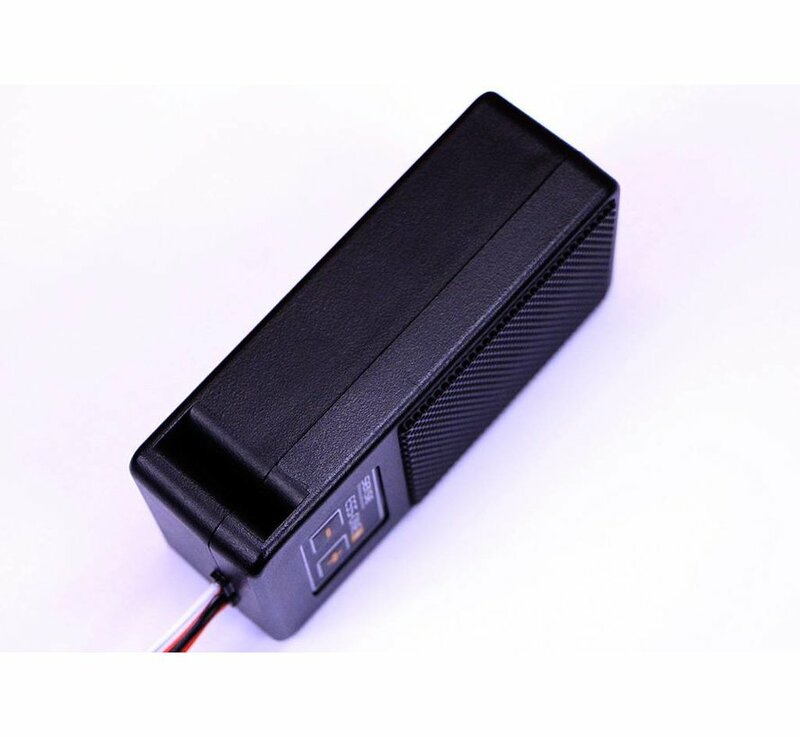 Special sounds, like a car alarm and horn, can be independently controlled by a third channel on the transmitter. Please check HERE for a complete list of sounds available. 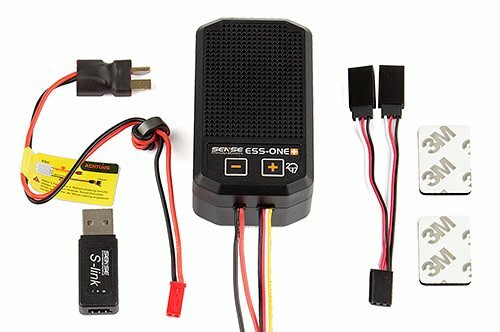 ESS-ONE+ supports fast switching between two sets of engine sounds. Users can install two different sounds having different brake and acceleration settings into the ESS ONE+, and the sounds can be easily selected with the press of a button. 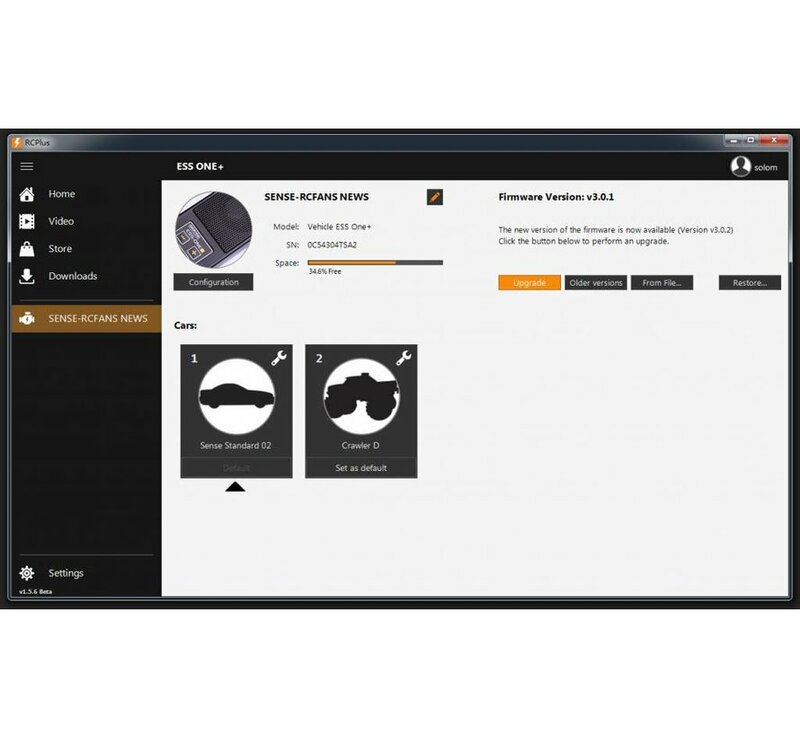 ESS-ONE+ supports firmware and function upgrades. 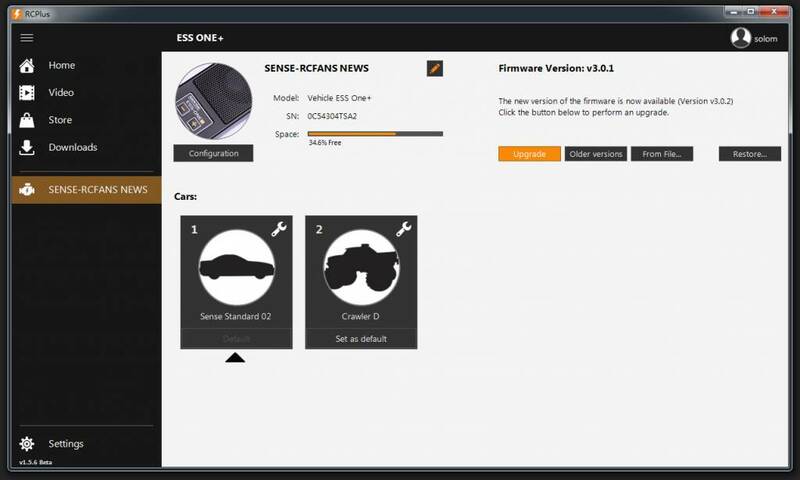 Sense Innovations supports the software-download services of RCPLUS to provide continuing firmware and software updates. Users will receive ongoing software upgrades.